Why would I need self storage in Inglewood, CA? There are a variety of reasons why you might need self-storage in Inglewood, CA. How much is a storage unit in Inglewood, CA? The cheapest storage unit in Inglewood, CA is $99.00 per month. What size storage units do you have available in Inglewood, CA? In Inglewood, CA we have sizes that range from 3'x5' to 10'x20' to suit your storage needs. How much is it for a 3'x5' storage unit in Inglewood, CA? The cheapest 3'x5' storage unit in Inglewood, CA is $117.00 per month. Situated just east of Los Angeles International Airport and mere miles from the Pacific Coast, Inglewood is located in southwestern Los Angeles County. 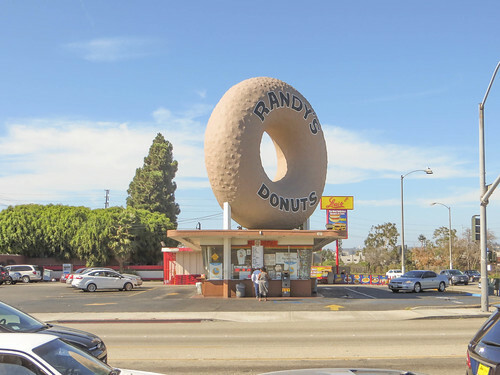 It's home to a number of recognizable California landmarks that are often features in Hollywood movies and television shows, including The Forum event venue and the beloved Randy's Donuts. You'll enjoy a number of amenities in and around Inglewood, as well as a rich arts and culture scene. First established in 1888, Inglewood was known for its poultry farm, shipping industry and cemetery in its early years. In the early 20th century, an earthquake drew curious visitors, and many decided to stay, making this the fastest-growing city in the nation from 1920 to 1925. In the 1970s, Inglewood built its first skyscrapers, and the city has maintained growth in both population and desirability ever since. Today, Inglewood continues to attract new residents, along with thriving businesses and industries. Inglewood is home to numerous businesses in the health care, entertainment, professional services and many more sectors. Health care facility Centinela Hospital Medical Center is one of the city's largest employers. Entertainment complex Hollywood Park Casino provides hundreds of jobs in the city, as do legal services company Forum Enterprises and developer Rothbart Development. The largest industries in Inglewood and the Greater Los Angeles area include trade and transportation, education and health services, professional and business services and government. If you're planning to search for a job in the area, it's helpful to know that the fastest-growing industries include leisure and hospitality, education, health services and professional and business services. The Inglewood Unified School District manages the public schools in the city of Inglewood. In addition to a number of traditional elementary, middle and high schools, the district also offers a charter school and a technical education high school. You can also enroll your child in one of the nearby private schools. Utilities: Southern California Edison and Southern California Gas are the city's central energy providers. The city's water works department manages residential water services. Transportation: If you're planning to utilize public transit in Inglewood, you'll find the most convenient option to be bus. If you're looking for the most affordable housing in Inglewood, you'll typically find numerous options on the city's west side. Inglewood's priciest homes tend to be on the north and southeastern sides of the city. The average home price in the area is on the rise and is expected to continue on an upward trend. Although this means you can expect to pay considerably more for a home here, you also have a good chance of a future return on your investment. Our lowest priced units in Inglewood, CA average $106.00 per month. 245 people have reserved units in Inglewood, CA in the past 30 days. There are 3 locations within Inglewood, CA's city limits.